With all of the different options on the market these days, how do you decide what the best protein shake really is. You see a ton of companies like Optimum Nutrition and MusclePharm pushing their products in your face everywhere you go…I can’t even walk into my local gyms anymore without seeing a 20ft long rack of protein powders lining the walls. Here’s the problem with this… you are likely NOT protein deficient. When you are not protein deficient all you are doing is causing your kidneys to work harder to digest something that you really didn’t need in the first place. Remember that article where I talked about how I was on the brink of kidney failure? Well I’m attributing part of that to the two or three protein shakes I was pounding a day trying to “make gains, bro”. Now I can understand if you live a Vegetarian or Vegan lifestyle, but what you don’t understand is that even if you are Vegetarian or Vegan, if you take in your recommended calories per day, there is a very high chance you are still NOT protein deficient. Matter of fact… the Center for Disease Control and Prevention (CDC) reports that due to the increasing demand for meat in common American diets, Americans actually consume far over the amount of protein recommended for a well balanced diet. 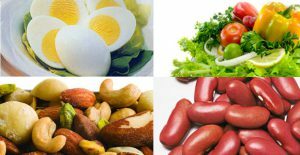 In addition the CDC confirms that protein deficiency is rare in U.S. Adults. In addition, protein deficiencies developed from hereditary illnesses or diseases like Thrombophilia (inherited Protein C deficiency) only have a 0.05% prominence amongst the population. So Why Do We Drink Protein Shakes? The answer is marketing. Everyone is buying the image, everyone is buying the idea that protein shakes and supplements will make them lose fat, suddenly get in shape, and feel better. However, this placebo effect is actually doing more harm to your body than good. Companies like the ones listed above take advantage of those who do their due diligence, research what they need to do to be healthy, and strive to achieve their fitness goals. All these companies are doing is taking your hard earned money and flushing it right out your kidneys. Quite literally flushing your money down the toilet. I know it doesn’t help reading the 500 fitness blogs out there that you read that are being paid to advertise a particular best selling product “ahem…Optimum Nutrition Whey…ahem”. Believe me, I was a victim of this myself. What If I Want to Gain Weight? There are options to gain weight without chugging large quantities of protein. Natural proteins come from Beans, Broccoli, and Milk. If you are Vegan and want an alternate solution to milk, look into Almond Milk. Personally I drink Almond Milk and I’m not a Vegetarian or Vegan. It’s loaded with a lot of the same nutrients that you receive from real milk but instead it actually boosts other vitamins which you might actually be deficient in such as Vitamin D. In addition, it reduces the dairy content which causes my skin to break out and my chin to get fat (which I don’t generally like). It’s interesting though that Vitamin D is actually the leading vitamin for deficiency in the world. It affects approximately 50% of the world population and can contribute directly to chronic pain, depression, and osteoporosis. In order to combat this you can obtain Vitamin D from sunlight, dairy, and some supplements. If you want to focus on boosting a particular vitamin with supplementation then look into Vitamin D, B12, and B6. Anyway, I digress. If you are looking to gain weight I usually use peanut butter, coconut oil, flax/chia seeds, almond milk, and eggs. These ingredients when used throughout the day generally allow me to pack on some pounds naturally without the extra stress on my kidneys. Naturally, the more food you consume in a day the more weight you will pack on. Gentleman, I know this is especially important for you. Keep in mind though, that there are ways to gain muscle mass without eating foods high in fat which has been proven to still lead to cardiovascular issues even if you workout regularly. Eat Frequently… One main thing I try is eating steadily throughout the day if I’m trying to bulk up. When skip breakfast, I make up for it at lunch, but after lunch I refuse to pack myself full of too much because then I just generally end up eating unhealthy snacks. Eat more… Increase your intake of healthy foods. Double your serving sizes of spinach, broccoli, and beans. I usually like to incorporate some brown rice into the mix for energy purposes the next day. When I still swam consistently this was my go-to for carbo-loading. Eat eggs… Always works, I absolutely HATE eggs, but more recently I’ve been eating more of them I just scramble them and plug my nose. Do yourself a favor though and invest the extra $2 a dozen for free range grass fed chickens. There is something funny about chickens eating other chickens that I just can’t quite get behind… If you don’t know what I’m talking about go watch the Netflix Documentary “Food Choices”. Tons of nutritionists on that documentary stress the importance of eating healthy and explain what you are actually eating in some cases. Work out consistently… let your body recover. What I’ve realized is that I was not really allowing my body full recovery time when I was hitting the gym every single day of the week. So I encourage you to take a day off, or a couple days a week even to relax, recover, and pay attention to your diet and hydration. Are There Appropriate Times for a Protein Shake? YES! Although protein shakes are not the best for you, sometimes you may be running behind and need a little boost. The general rule here is to definitely not use them for meal replacement every day. A ton of people I know usually miss breakfast so they run out the door with a protein shake to replace it. This methodology and way of thinking is actually what leads to the kidney problems I have previously described. In addition, if you are performing at a very high level athletically, and your workouts are extremely strenuous then you may need a little protein boost in your diet in order to compensate for the damage done to your muscles from your workouts. However, with more and more professional athletes reducing their overall meat intake in general, it’s sort of hard to justify the fact that you need to overload on protein even when training at the professional level. Don’t believe me? 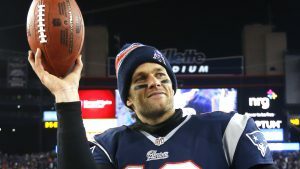 Read about what Super Bowl Champ Tom Brady has been eating. His diet may shock you a bit. Ditch the protein shake. You don’t need to be spending $100 a month for 12 servings of some ridiculous calorie packed protein power that some random sales clerk pumps you up on. It might not hurt really to have a small thing of it lying around in case you do miss an important meal, but don’t make it a habit. You CAN be healthy without buying into what all these different nutrition companies are selling. Be aware that every fitness guru on Instagram or Facebook is a paid walking advertisement… So what if you don’t look like them? That’s their job, you probably took a different career path, and you’re probably very good at whatever it is that you chose to do. So leave the hype to the professionals and stick to living a truly healthy lifestyle folks. If any of you have your own personal experiences with over consuming protein shakes, or finding struggles with packing on the pounds due to your diet, I’d love to hear about it in the comments below. I used to consume protein shake before, but unfortunately, I started to realize that I grew quite a lot of acne on my face, plus I felt bloating after chugging down my shake after w/out. So yeah, no more protein shake! Thanks for reading. Most definitely the protein shake. What I would most likely attribute it to is the hormones packed into the dairy products that you were using if you were drinking these shakes with milk. Especially if you were drinking it in large volume. Glad you cut them out though… It’s really not worth the financial aspect of it either which I recently wrote about here. Check that out too and let me know what you think!